A Cannabis POS to streamline your cannabis business. Our talented web designers craft your digital experience. Tools to engage your members and increase your sales. We integrate major online merchant and credit card processors. integrated with our online cannabis websites. State of the art Content Management System to increase your productivity. in your store with our Cannabis Dispensary POS and on-the-go with only one robust web app. 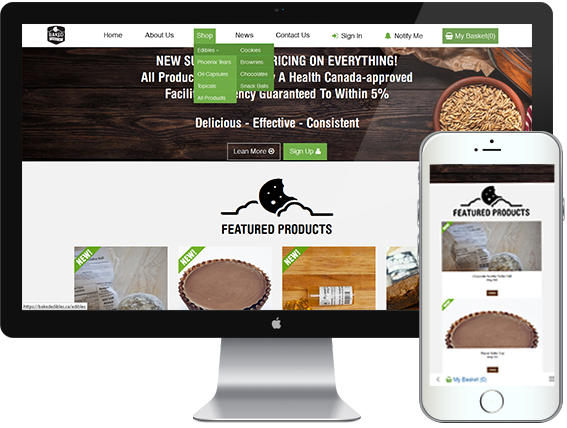 Your custom cannabis website is powered by state of the art Cannabis Content Management System that includes inventory and online order tracking. Your Cannabis WebApp is custom designed with your logo, your colors and your graphics.